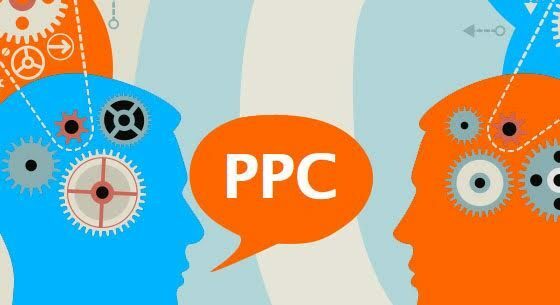 PPC (Pay-per-click) also well known as cost per click a model of internet marketing used to direct traffic to websites. Advertisers pay a fee to the publisher every time the ads is being clicked. Essentially, it’s a way of buying visits, rather than attempting to earn the visitor to the site organically. Search engine advertising is one well recognized forms of PPC. It allows companies to bid for a keyword that relates to their business offering in a search engine’s. For example, if we bid on the keyword “Website Company” the ad will be displayed in the very top spot in the Google page results. If the newly established company needs short-term campaign for a new product or service, pay per click can be a wonderful and quickest way to generate traffic. Pay per click campaign can be started within, 24-48 hours, the text of the ad can be generally changed in the midway of ad mid-campaign, so adjusting message is easy. Selling a quality product or offering a service that people can purchase immediately they see it on the website, then pay per click is a wonderful tool. Online stores are a great example:Each click generates real time customer, so spending a penny to PPC to increase the number of clicks makes sense. Search engines like Bing and Google offer a unique ad type called product listing ads for selling the catalog of products. The products will be highlighted in these ads, including a product image have more prominence in search results over the decade. These ads do wonders to attract customers who are looking for a product. A platform like Google AdWords often allows to create an audience who has already visited the website. these audiences are targeted with tailored ads, including video ads and image. Re-marketing helps to drive customer who went to visit the website for a long time and its cost-effective tactic to increase the bottom line. Organic search engine optimization is a PR-based, long-term attempt can lead to brand recognition. Pay per click advertising can be handled like any other form of paid advertising. In other words, concentrate on conversions and if you are ready to focus attention for a finite amount of time, PPC is perfect.